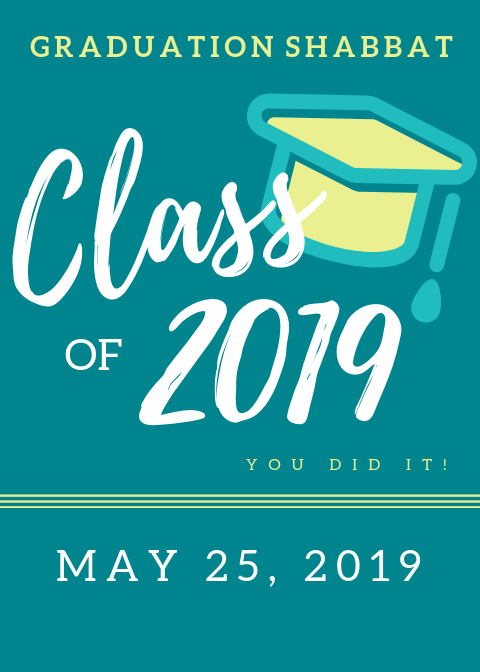 Please register your child for Graduation Shabbat. Pizza Thursday!! Order Early before we sell out! Thank you to Mendy Kessler and Sholem Morris for checking the eruv weekly! Also, thank you to Yacov Rosen, Victor Galindo, Betzalel Morrison, and Aaron Feldser for performing the check of the entire 285 and 400 boundaries last week.